The birth of new buildings, celebrating the colour blue, and spring has sprung in Bay Area. Moody lakes, new forts, and spotting gnomes around Oakland. I am writing this from bed with a terrible case of the flu. Send love and Theraflu! This was a cute little place I stumbled across on a walk around SF a few weeks ago. It’s tucked up a little alleyway on Nob Hill, and looked so inviting with the red door, grey paint, white trim and red geraniums outside. 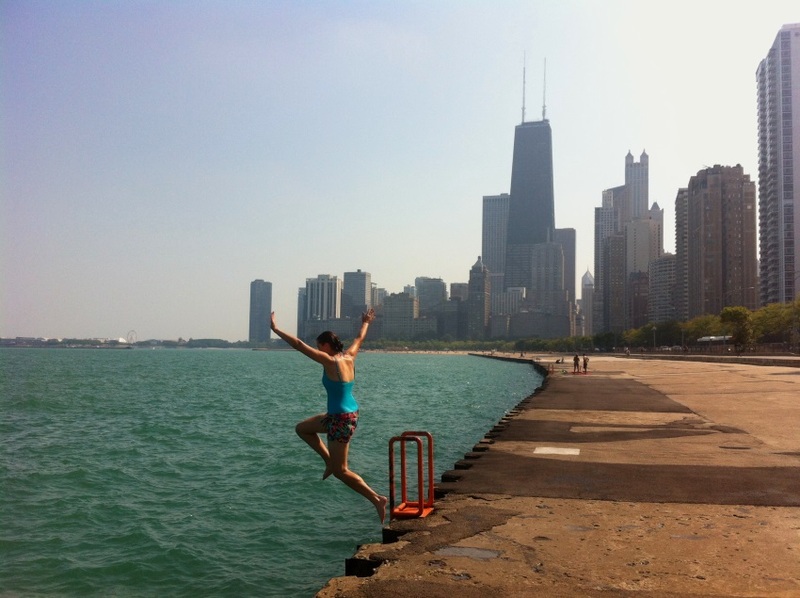 In a Chicago summer, there’s a real sense of abandoning the rigid rules of daily life. Such rules no longer apply. It’s heady, fragrant, intoxicating. This time last year, I was undergoing a monumental shift. It was the single hardest thing I’ve ever done, but also the most rewarding. I didn’t really post these because it took me a few months to emerge from the pain and exhaustion of the event, and overwhelm of this little person needing me every second of every day. But so grateful for the love and support on that day from James and Betsy, and my family remotely. G'day! I'm Rebecca, an intrepid Aussie who toddled off one day to travel the world. Now I'm lucky to call both San Francisco and Sydney home. So kick up your feet, settle in and enjoy the bits and pieces of my life in progress.